Hello! 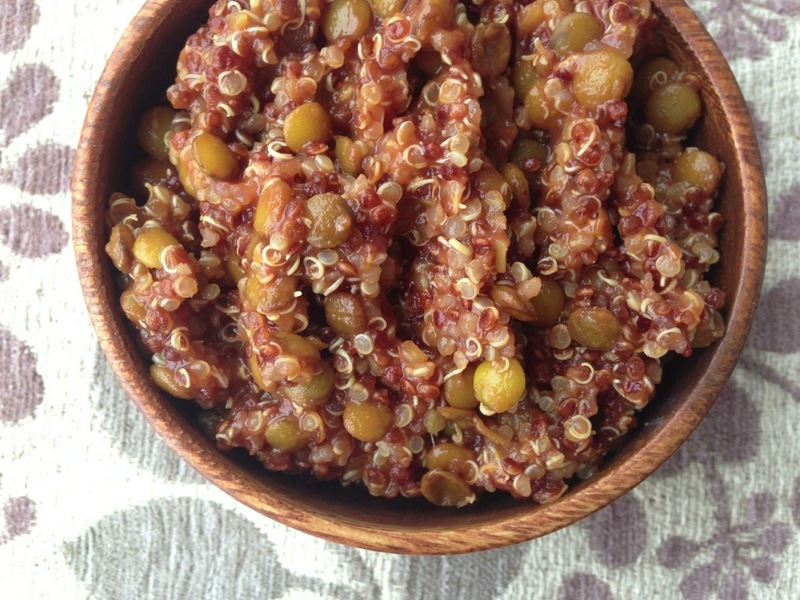 This is my first month participating the the Recipe Redux! This month’s theme is “spooky spices.” This recipe for curried lentil soup fits the theme because it uses several spices that I pulled out from waaaaay back in my pantry because I’m rarely brave enough to use them. Well, this soup turned out so well, I’ll have to incorporate Turmeric and Calcutta Heat into my cooking more often! Sometimes I cook a dish just because I have leftovers. In this case I had a little bit of chicken stock base left after making garlic butter shrimp for my husband and client. I don’t like shrimp, so I made myself a different dish on a whim. I had almost everything on hand to make this lentil soup by The Traveler’s Lunchbox. The only thing missing was cardamom, which is a fairly expensive spice that Colby and I buy EVERY year to make his German mulled wine for Christmas. It’s called feuerzangenbowle and I’ll be sure to post his signature recipe for it as the holidays approach. It involves lighting sugar and rum on fire, so it’s lots of fun to make! Anyway, we’ve bought cardamom at least twice before, yet it’s nowhere to be found in the pantry… so I improvised with spicy curry powder! The kind I use is called Calcutta Heat, which is a spicy curry blend. I suspected that the lentil soup would be strangely sweet (with nutmeg, cinnamon, and cloves), I don’t like my entrees overly sweet. Without the cardamom, the soup was missing something, so swapping in Calcutta Heat actually enhanced the soup. Try it out! 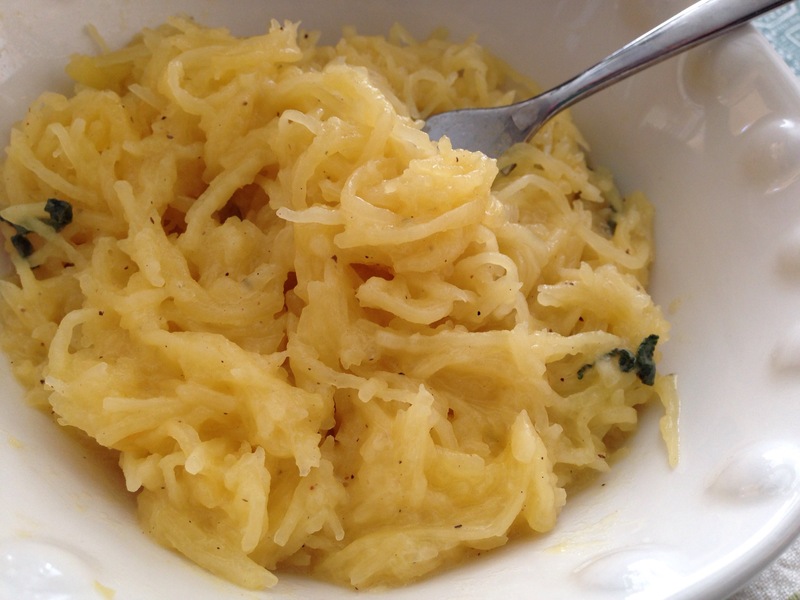 It’s incredibly flavorful and warming for a chilly day. 1. Combine lentils, chicken stock, thyme, and turmeric in a small/ medium saucepan. Bring to a boil and reduce to a simmer for about 20 minutes, or until the lentils are tender. Discard the spring of thyme. 2. While the lentils are cooking, heat butter in a skillet over medium heat. When melted, add onions and stir around until tender and golden (about 2-3 minutes). Add fresh garlic, curry powder of choice, nutmeg, cinnamon, and ground cloves. Stir around until fragrant. 3. Scrape the onions and seasonings into the saucepan (if you want to get every last bit, like me, add the lentils and stock to the skillet instead). Add the coconut milk and fresh spinach. 4. Reduce the heat and simmer for about 10 more minutes. Adjust the flavor to your liking with salt and pepper. Serve hot. 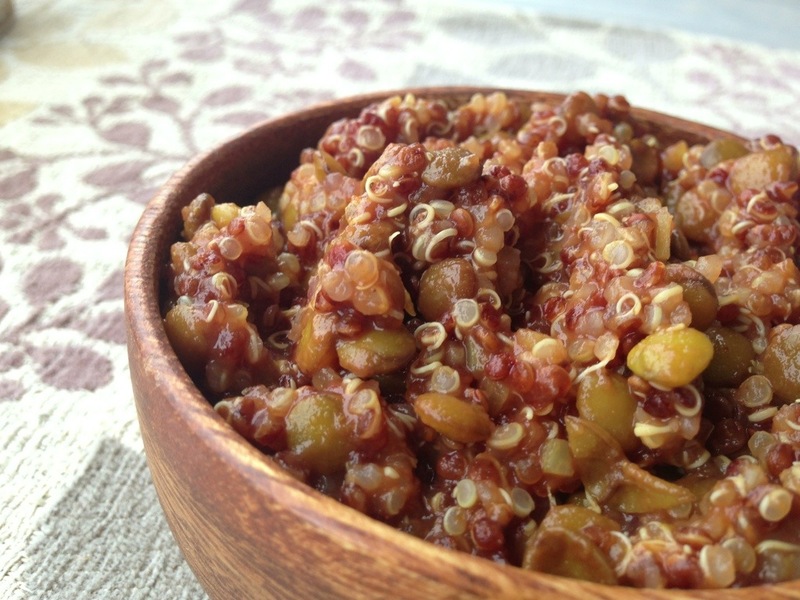 Check out other Recipe ReDux recipes below! Ahhh!! I’m so excited about my new camera! I can’t wait to learn how to use it well! I got the Nikon D3200 because it seemed like a solid beginner DSLR at a great price. The photos in this post were shot indoors just before sunset with no diffuser or reflector, and no post-processing or filters. Not bad for my first food shoot with this camera! 2. Cut the leaves from the tough stalk of the kale. 1. Preheat oven to 350 degrees. 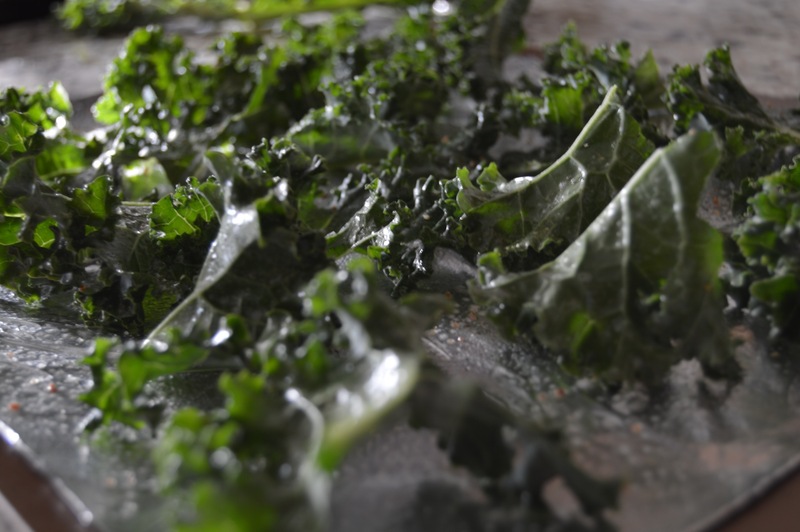 Tear curly kale into 2″ sized pieces and scatter over a baking sheet lined with lightly greased aluminum foil. Work in batches instead of crowding the baking sheet. 2. Lightly mist the kale with olive oil and vinegar. Sprinkle with a dusting of salt. 3. 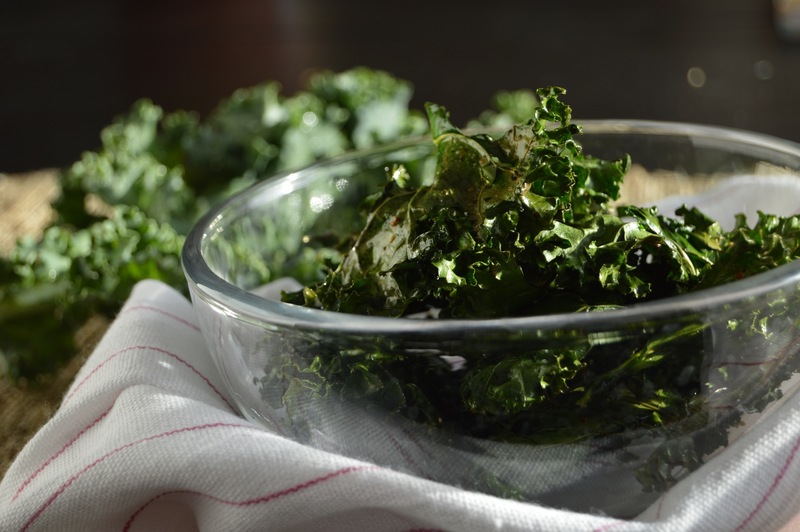 Bake for 8 minutes, flip the kale leaves, and bake for several minutes more. Monitor closely- you want the kale to be crisp, but not burnt. Mmmmmmm…. brown butter! Ever since I had an amazing, melt-in-your mouth pasta dish with brown butter sauce at Scarpetta a while back, I’ve been wanting to recreate something rich and buttery like it at home. Unlike me, you probably already knew that brown butter sauce is actually a breeze to make! Just heat some butter and let it caramelize. Pair the easy sauce with autumn’s best squash and you have a winning combination of indulgent and nutritious! 2. Allow the squash to cool down. Once it is cool enough to handle, scrape out the insides with a fork into a bowl. The strands should come out easily. Set aside. 3. In a large skillet, melt the butter over medium heat. Add the garlic and sage leaves. Stir around for about 1 minute until fragrant. Add the chicken stock and boil about half of it off. 4. 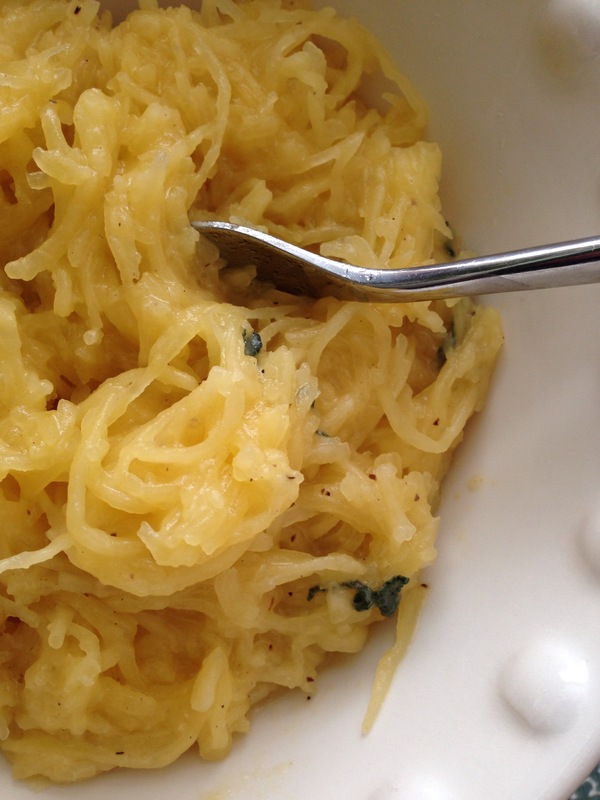 Add spaghetti squash strands to the skillet and stir to coat with butter sauce. Season with salt and pepper. Serve the squash as a side dish or play around with accompaniments, such as bacon or grilled chicken. Enjoy!! For a sweeter, nuttier variation, skip the garlic and add a dash of cinnamon, nutmeg, and cloves to the butter and sage sauce. Hey there! Colby and I moved into our first home! I’ll have to show you a photo tour soon. It’s been a lot of fun getting everything set up, but it’s been taking up all my free time. 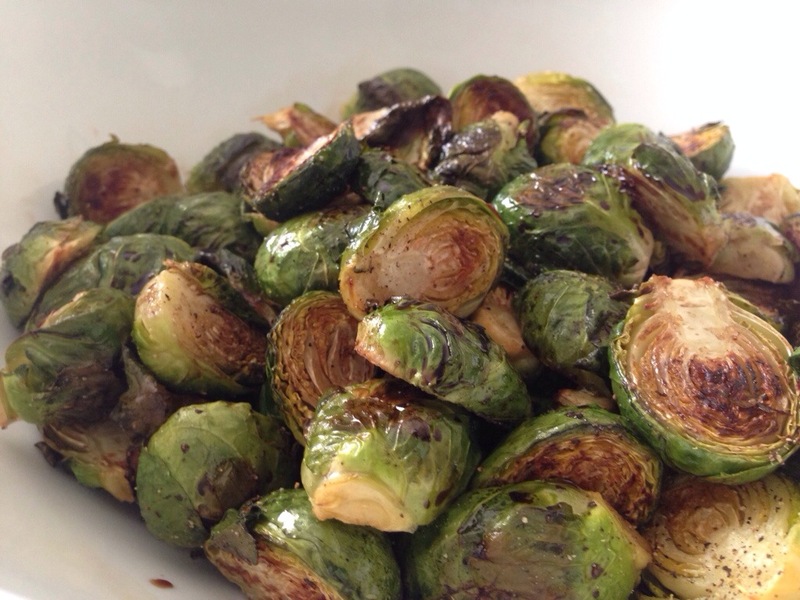 Just before we moved, I made a massive batch of Brussels sprouts to snack on throughout the week. 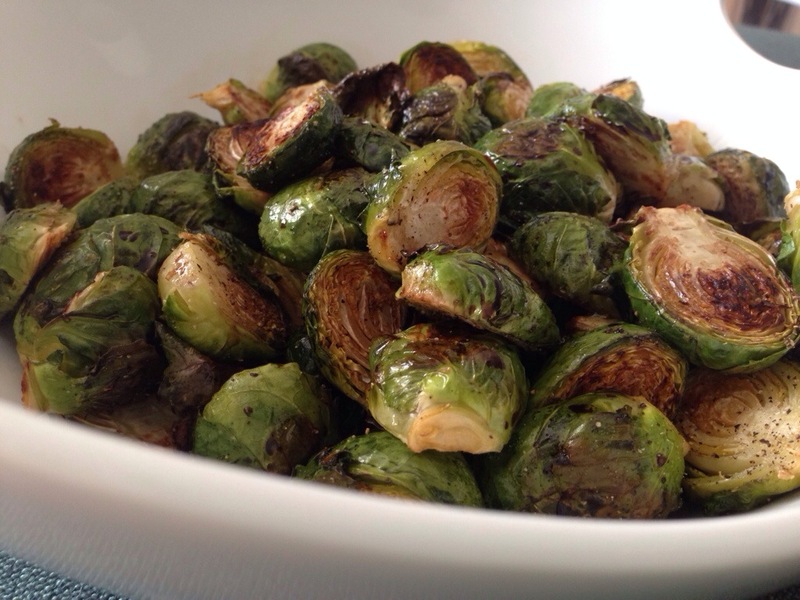 The recipe is easy and delicious- it’ll make Brussels sprouts your new favorite vegetable. 1. Preheat oven to 450 or 500 degrees (depending on how charred you like your veggies). Slice Brussels sprouts in half lengthwise and place cut side up on a lightly greased baking sheet in a single layer. Use an extra baking sheet if necessary. 2. Spray the sprouts generously with olive oil and sprinkle with salt. Bake for 8 minutes. 3. 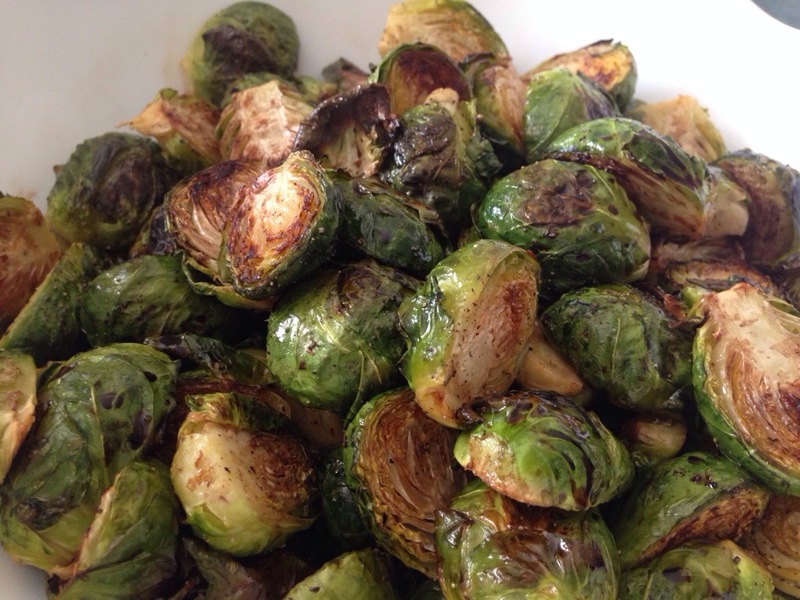 Flip the sprouts over cut side down, spray with olive oil again, and bake for another 8 minutes. 4. Flip one more time and bake 5-10 minutes more or until golden and tender. 5. Transfer the sprouts to a mixing bowl and toss with freshly ground pepper and balsamic vinegar. 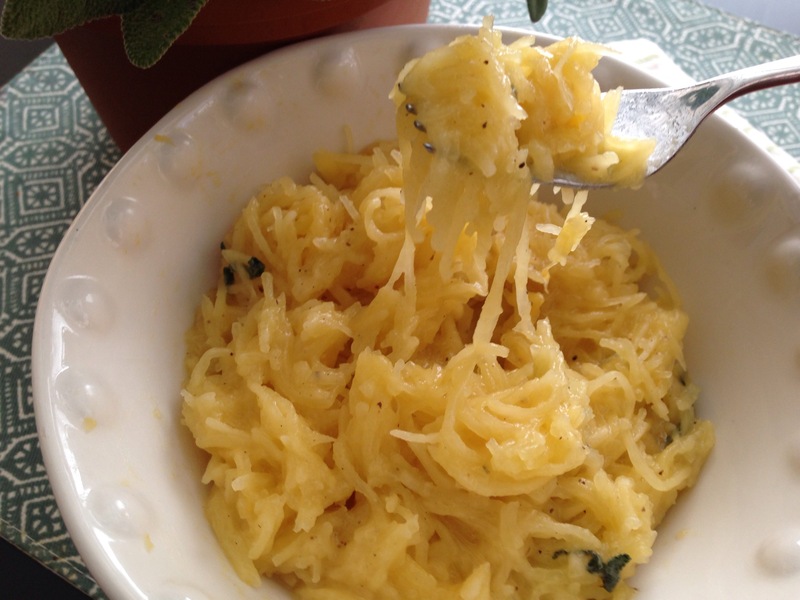 Serve warm or store in the fridge for up to a week. It’s amazing to me how good roasted cruciferous veggies taste! Broccoli and cauliflower cooked this way are excellent too. Enjoy! One last look because they’re so pretty! Remember when I made that basic green juice? It’s great and all, but all the apple and spinach pulp make it kinda chunky. After letting my green juice sit in the blender for 5 minutes this morning, I discovered a use for all that pulp! It’s so easy. 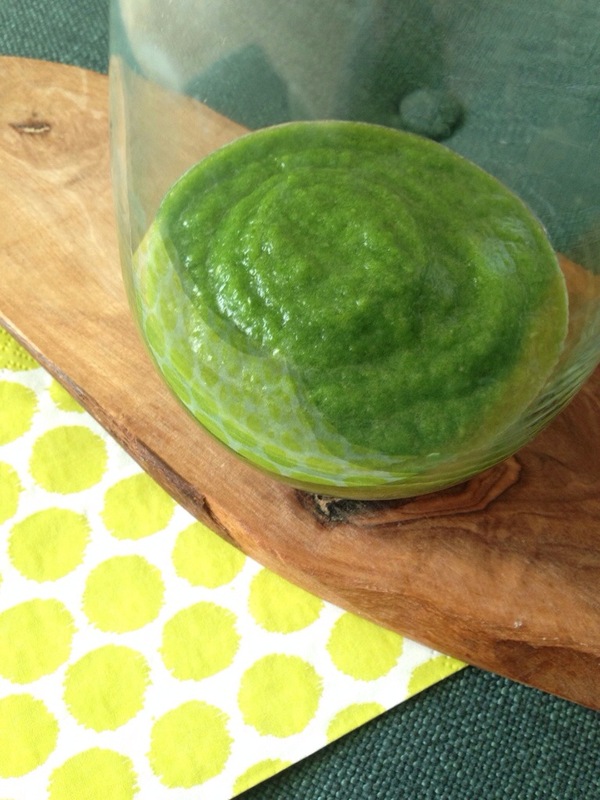 Just let any green juice you make in the blender sit for a few minutes. The pulp will rise to the top while the liquid becomes clear below. Carefully pour out the bottom layer of juice and save the pulp. 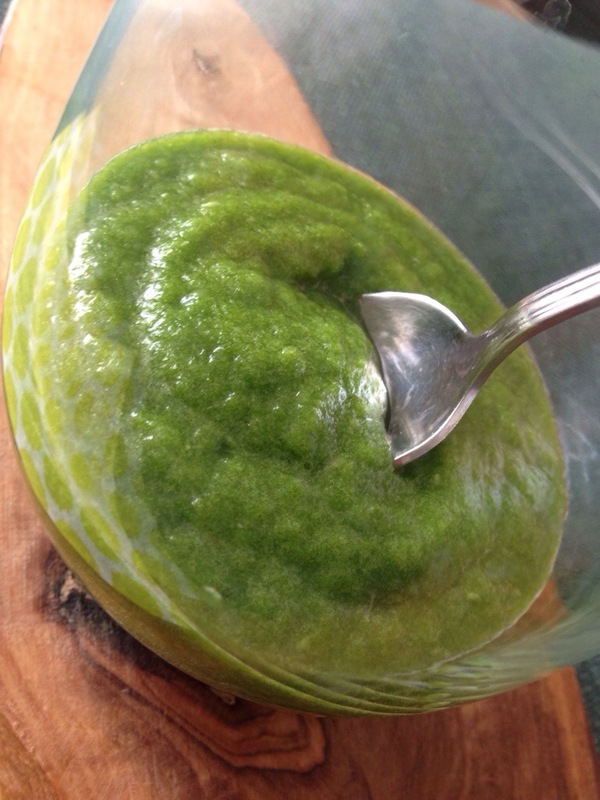 Once you’re done drinking your glass of green juice, enjoy the tasty pulp as a simple applesauce. This way none of the nutrients go to waste and you don’t have to drink a chunky juice. 1. Combine all ingredients in a high powered blender. The water and ice will create green juice AND applesauce. Omitting the water and ice will yield just applesauce, and it’s a little harder to blend this way. Blend on high setting until smooth. 2. If using water and ice, allow the mixture to sit in the blender for a few minutes until it separates. Carefully pour out the liquid into one glass and spoon the pulp layer off into another glass. Enjoy both! This recipe is great for kids! 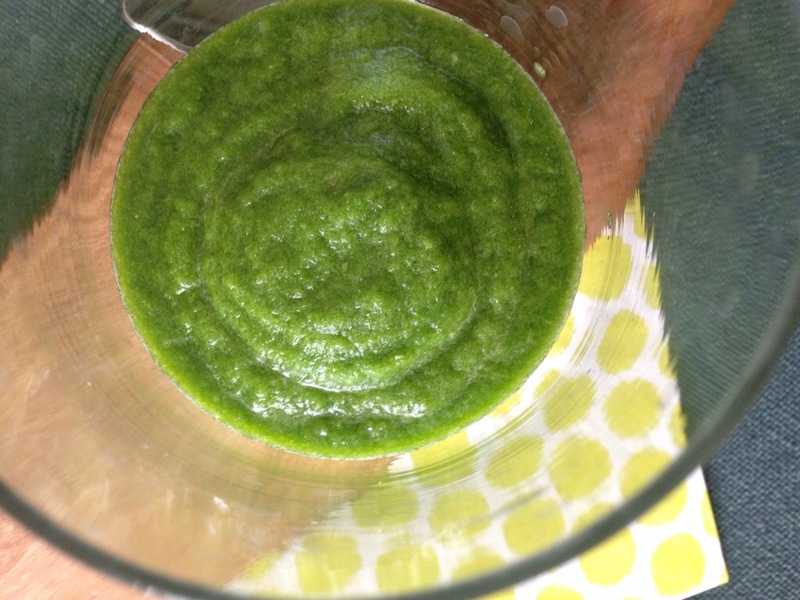 The applesauce has a pretty green color, but doesn’t taste at all like like spinach. I made this salad for a potluck last week. It’s very refreshing for the summer! The cucumbers are juicy, the radishes are spicy, and the green apples are tart and sweet. 1. 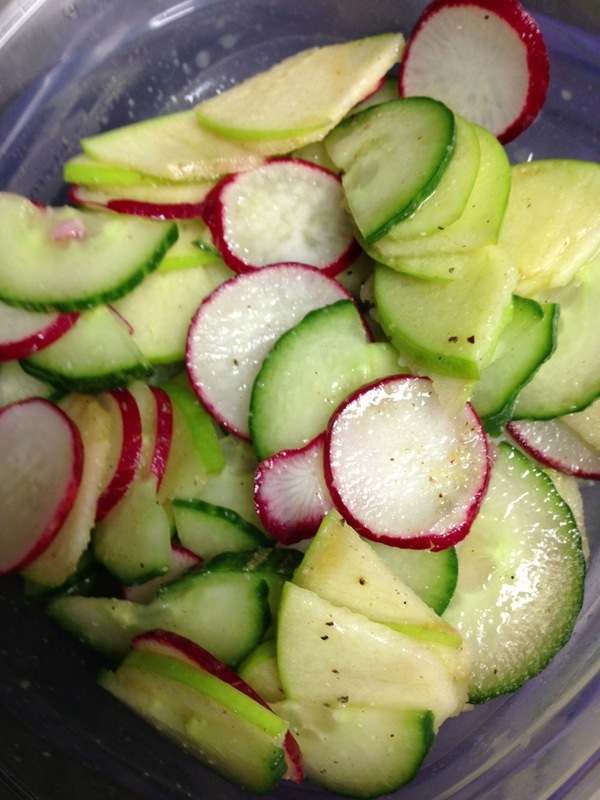 Start by thinly slicing 1/2 an English cucumber, 1 green apple, and a handful of radishes. I used a mandolin slicer, but a food processor would get the job done faster. 2. Combine in a large bowl. In a separate bowl, combine 1 tbs honey, 1 tbs olive oil, and 2 tbs lime juice. Mix with 1/4 cup fresh chopped mint. Toss the salad with dressing and enjoy! Today I tried to recreate the salad using a different dressing for my sugar detox. Unfortunately, the white wine vinegar, mustard, and garlic called for in my dressing recipe ruined the beautiful flavor of this salad. I’d recommend sticking to the honey, lime, and mint combo!